Instructor led training is costly and time consuming in today’s day and age. Not only are subject matter experts a financial burden to training departments, they take too much time to teach new employees the skills, rules and habits they need to develop in order to succeed in their roles. “Showing the ropes” is now a term of the past. With the advancement of technology, the demands for speed, efficiency and quick results become even more important for training departments. By eliminating instructor-led training and other solutions, you can use eLearning to develop, train and grow your employees. eLearning is a relatively new creation itself, but the idea of educating, training, and helping people in ways that are easier, faster, surer, and less expensive can be traced back to the emergence of early tools. Speed – In today’s work environment, speed means everything. Everybody, from CEO to consumer, needs things, and they need them now. eLearning classes are the quintessence of speed because they can be purchased quickly, distributed quickly, and executed quickly. The speed of every facet of eLearning is unparalleled in the modern day. Efficiency – In addition to being quick, eLearning is efficient. 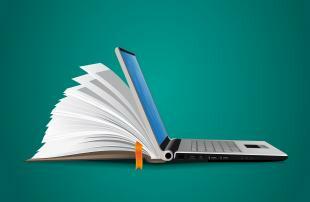 The ubiquitous consistency that electronic classes provide yields better results from students. Nothing is wasted with eLearning: no paper, no teachers, no materials, and no time. Quick Results – With such efficiency and speed, results are strong and they are fast. What formerly took 3 weeks of instructed classes now takes 3 days of engaging and interesting online courses, and the understanding of the subject is enhanced. eLearning provides amazing intellectual results, comparable and even surpassing standard education. Online courses tailored to specific situations have undeniable positive effects. Switching from traditional methods of education, eLearning and online classes are extremely effective at lowering costs, hastening learning, and being extremely effective on individual and group levels. Hence, traditional methods of education and training are slowly becoming obsolete. Online courses demonstrate to effectively impart knowledge and skills upon the student, while being cheaper than individual teachers and materials. On top of this, eLearning is instantaneous, simple, and manageable. It comes as no surprise that eLearning is the best way to forge the perfect employee in the modern age.